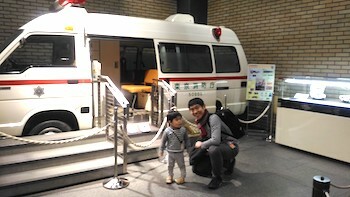 From January 1 to 3, we went to the Fire Fighting Museum that Ko-chan likes very much. 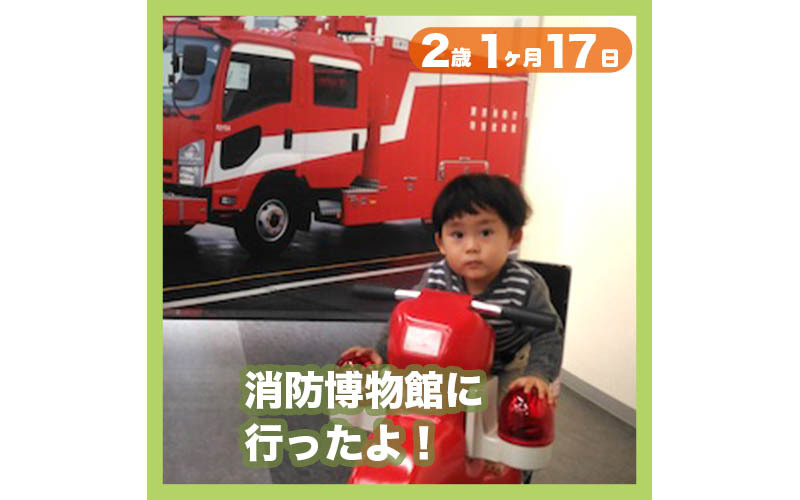 It’s a public facility located by the fire department directly connected to Yotsuya-sanchome station in the Marunouchi Line. So, it’s free of charge! 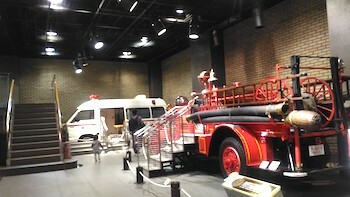 In the basement, there are fire-fighting vehicles and ambulances on display. 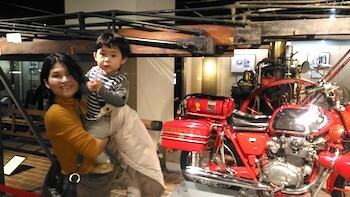 Then, a photo with mama in front of the old fire-fighting vehicle! 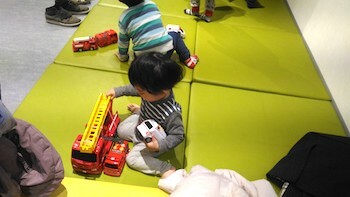 There were many fire-truck and ambulance toys. 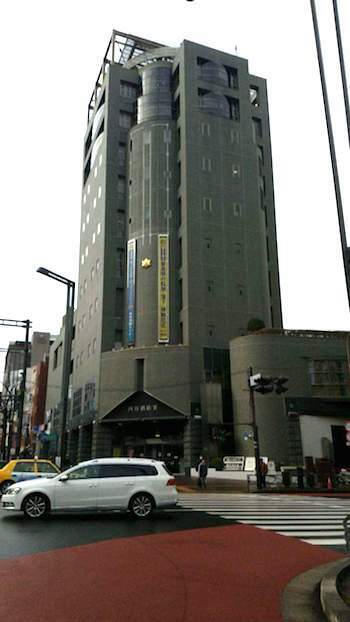 It took about 1 hour from the basement to the 6th floor. Ko-chan shouted “Wow”, “Grea–t!”. We played a lot, and it was free!